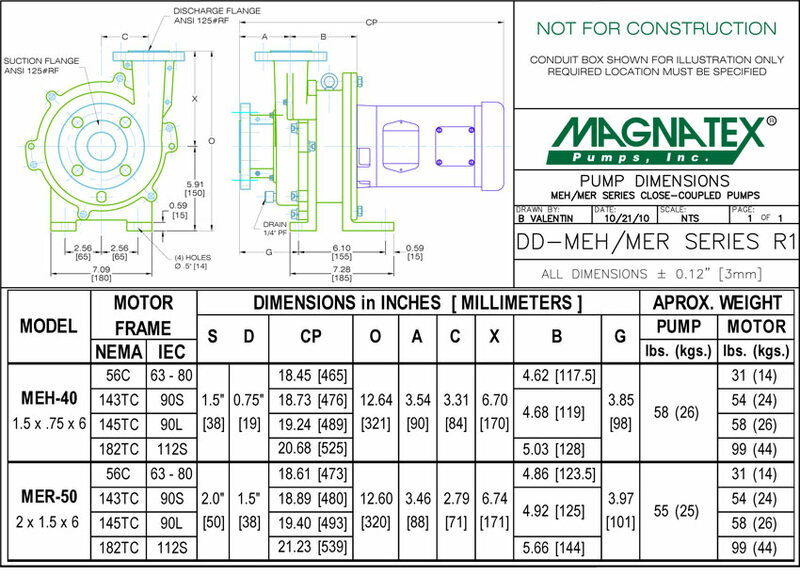 Magnatex®/Texel® ME Series sub-ANSI pumps are dependable, durable, replaceable liner, magnetic drive pumps. 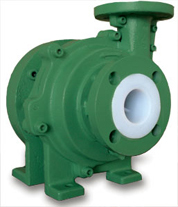 They are the solution for low to medium flow, corrosive fluid applications. 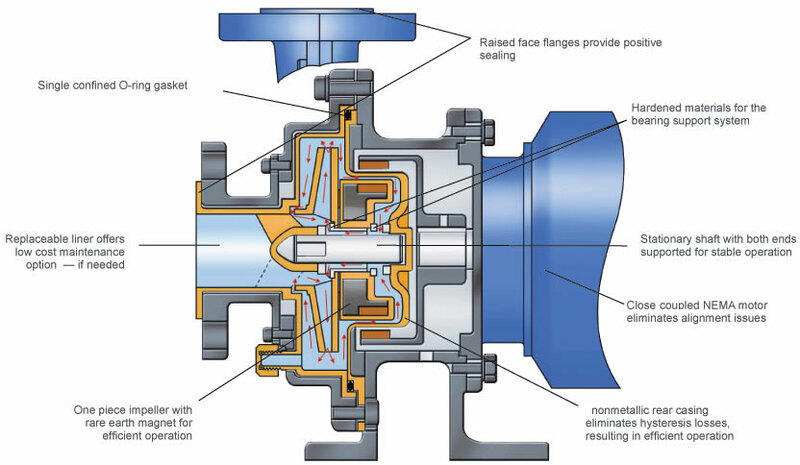 These pumps provide a lifetime of maintenance-free operation with low initial cost and low total cost of ownership. Replaceable liners make repairs easy and inexpensive without special tooling required. 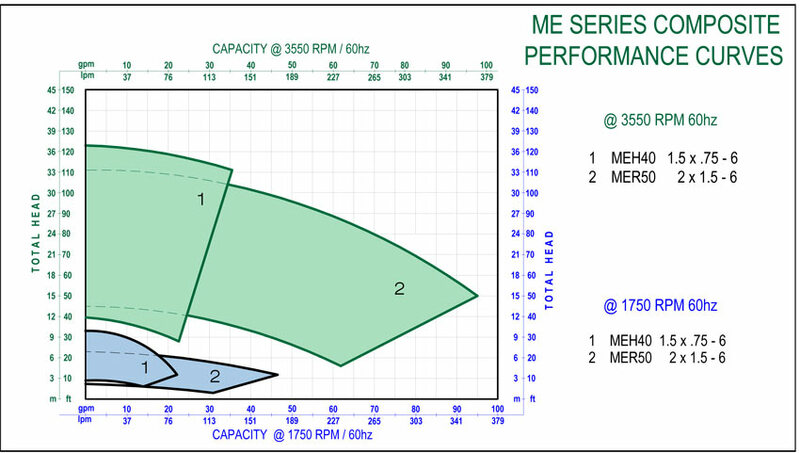 Sealless design helps eliminate "Reportable Release" issues. Registered trademark of Arkema, Inc.